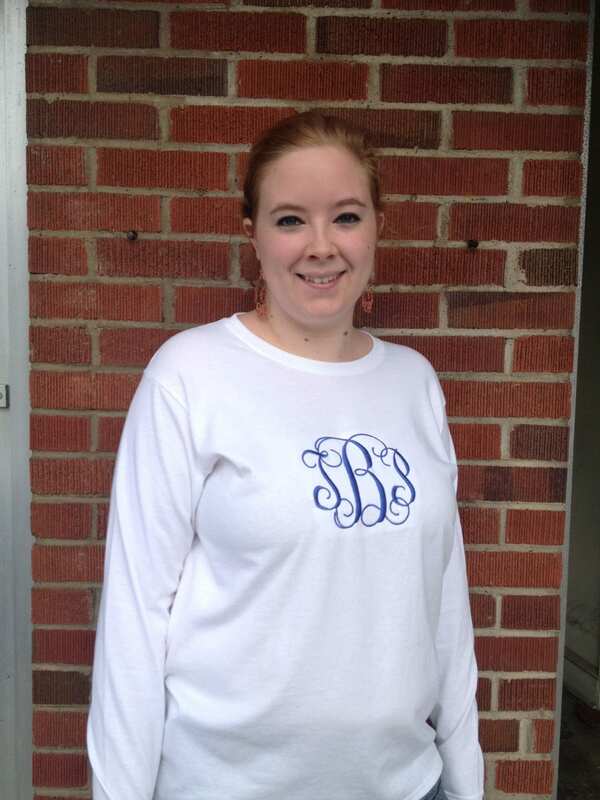 Look stylish in this long sleeved monogrammed T-Shirt that's perfect for the fall and winter seasons. 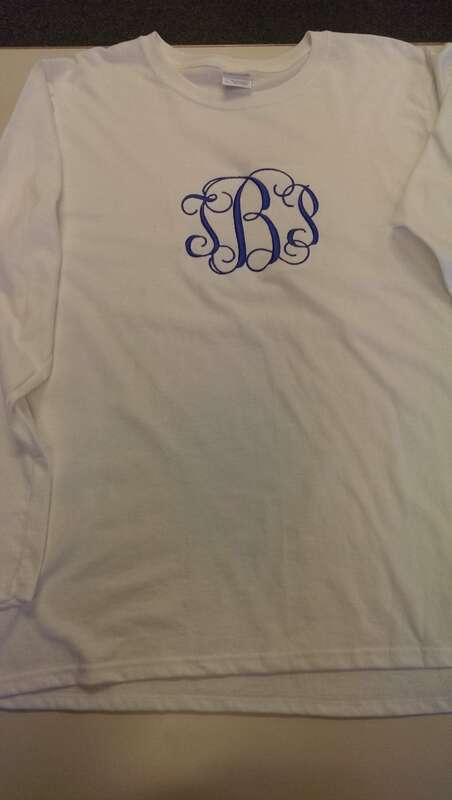 This unisex T-Shirt is 100% Ultra Cotton preshrunk jersey knit. 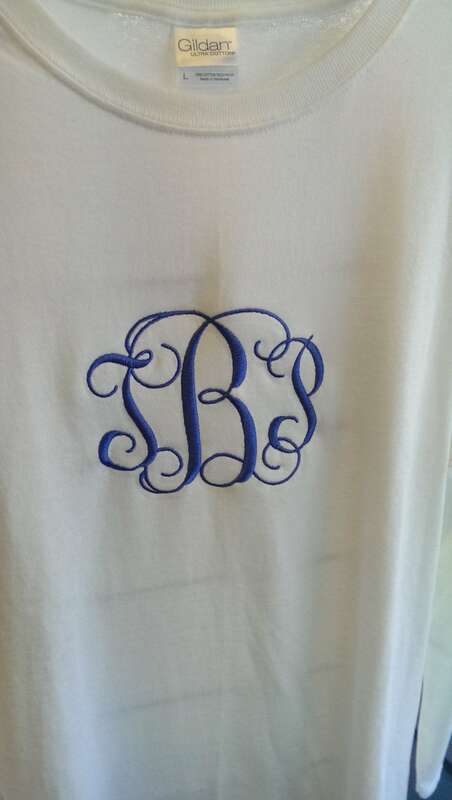 Please list initials for monogram (first LAST middle). The middle initial is 5 inches. Please specify in the buyer's note below which color you would like. 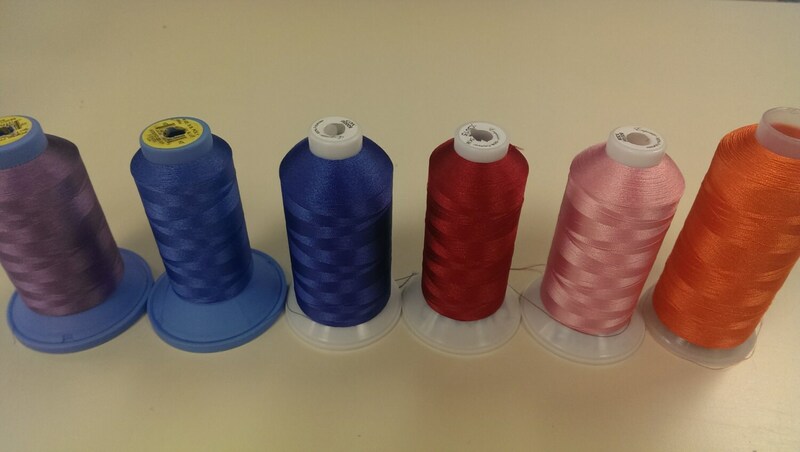 The thread colors in the fourth picture from left to right are Lavender, Jay Blue, Sapphire, Red, Pueblo Pink, and Orange. 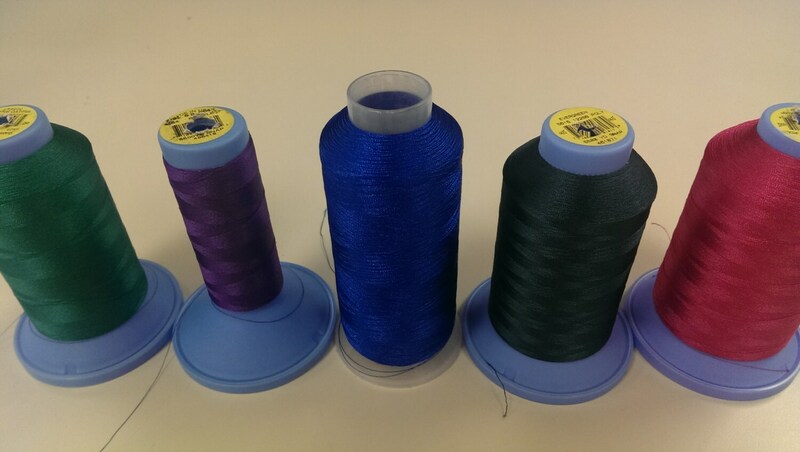 In the last picture the thread colors in order left to right are Kelly Green, Purple, Royal, Forest Green, and Ruby Pink. Send us a convo if you would like anything different from what is shown and we will see what we can do. It is gorgeous!! I love it!! I will be ordering again very soon! !